ASHEBORO — William “Buddy” Cole, 75, of Asheboro passed away at his home Thursday, March 7, 2019. 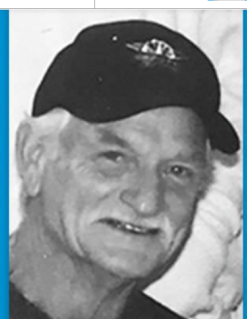 He was an avid fisherman and spent many weekends on the former Long Beach Pier. He was raised at Mills Home in Thomasville, N.C., and served in the U.S. Marines. He is survived by son, Tony Cole and wife Karen Cole of Asheboro; grandson, Cory Cole of Winston Salem; daughter, Cathy Cole; grandchildren, Aaron and Hillary Pritchard; three great-grandchildren; Lauren Pritchard; four great-grandchildren; Ryan and Kari Faulkner; three great-grandchildren; Reid Faulkner and Hayleigh Clapp; two great-grandchildren; son, Billy and wife Jennifer Cole; and grandchildren, Emma, Will and Adam Cole. As his request, no memorial will be held, and his ashes will be scattered at Oak Island, N.C.